The Worcester contra dance meets the second Saturday of every month to celebrate with live music and friends new and old. All are welcome! 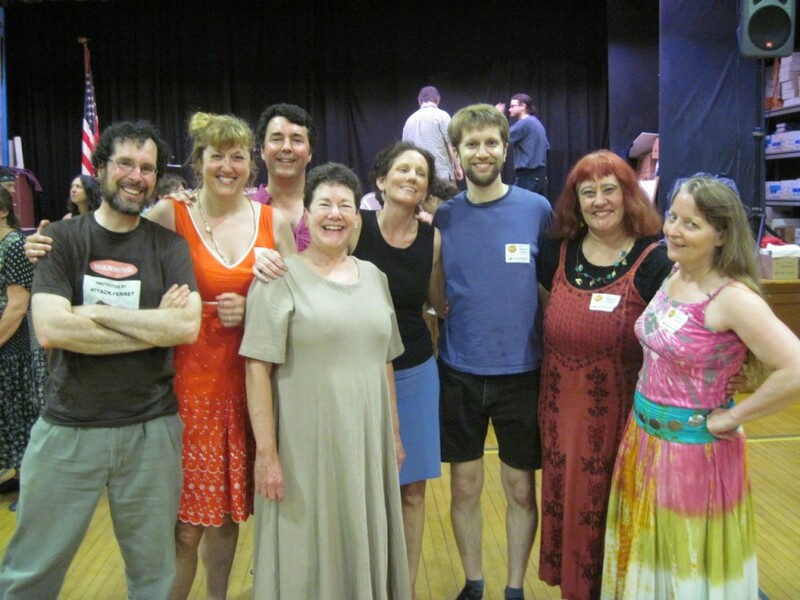 Some of the friendly faces you'll meet at the Worcester contra dance! There has been a contra dance in Worcester for at least the last 30 years since storyteller/caller/dancer Cindy Green founded the event at a downtown church. Over the years, the dance moved several times, with its organizers including Jack Howe and Cliff Gordon. In the late 1990s, the dance had a few years' hiatus before Debra Dee formed a new committee and reinvigorated the dance as the Worcester Triple Decker Dance — a name that comes from Worcester's traditional three story apartment houses, built in the last century to house working families. The dance has been meeting at its current site of the Wesley Methodist Church since 2003.